Posted By PA Breast Cancer Coalition on July 11th, 2014 at 12:51 pm | 4658 comments. On February 26, 2009 I was diagnosed with breast cancer. It was a 1 cm. triple positive lump in my right breast. Since then that 1 cm. has represented one biopsy, four surgeries, 35 radiation treatments, three scans, 17 Herceptin treatments, four chemo treatments, seven months of baldness, one bone scan, one bone marrow biopsy, countless sleepless nights, seven years of after-care medications, and 20 extra pounds. The very same 1 cm. lump also represented the push I needed to celebrate life with a cruise to Bermuda and a trip to Germany, to quit smoking, to become a fundraiser and help others, to get healthy by working out and running, to gain a better appreciation of the love and support of my family and friends, and to check an item off my bucket list by organizing Lori’s Loop. I learned about the PBCC when a friend ordered a Friends Like Me care package for me soon after I was diagnosed. Since then I’ve ordered many more of the friends boxes for others. I stayed active and jogged a course while I was going through chemo and radiation treatment. 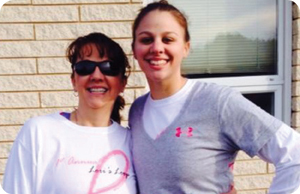 I always thought, “One of these days I’ll organize a race and it’ll be on this exact space.” Last October I fulfilled that promise and held the first Annual Lori’s Loop 5K to benefit the PBCC. We had 100 runners which was a great turn-out for a first year event, and we raised $1,500 for the PBCC! We will do it again this year in Haines Acres in York. I’ve learned to try to make the best of every day. You can’t really appreciate that until you come up against something that’s trying to take that away from you. This is it. You don’t get a reset button or a do-over. I switched jobs and am now working part-time, making a lot less money, and realizing I don’t need as much as I thought I did before. I’m enjoying my time with my husband Terry and my daughter Brooke Voloshin. Posted By PA Breast Cancer Coalition on July 11th, 2014 at 12:51 pm | 3643 comments. According to a new study, 3-D mammograms may be better at detecting invasive tumors and avoiding false alarms than regular mammograms alone. 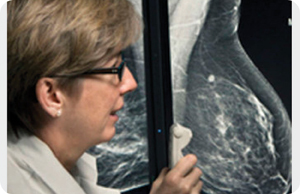 Researchers studied data from 13 U.S. hospitals and found that 3D screenings increased breast cancer detection rates more than 40 percent. The findings, published in the Journal of the American Medical Association, also show a 15 percent decrease in women who had to return for further testing. Right now, 3D mammograms are not covered by most insurance companies and typically cost an extra $50 – $100. Researchers are hoping that will change in the future. Doctors involved with the study say, after years of a one-size-fits-all approach, these findings could lead to more tailored recommendations for women. For the complete article in the Philadelphia Inquirer, click here. 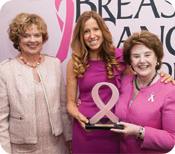 Posted By PA Breast Cancer Coalition on July 11th, 2014 at 12:50 pm | 2006 comments. The Cancer Card Xchange is a nonprofit organization that collects donated gift cards and distributes them as one-time gifts to cancer patients and their families, simply to brighten their day. The organization was founded when a survivor read that about $41 billion worth of gift cards had gone unclaimed since 2005, and she remembered that one of the brightest moments during her initial treatment for cancer was a night out with her husband — compliments of a gift card given to them by friends. 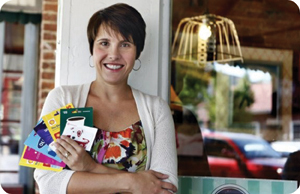 Cancer Card Xchange has given almost 1,000 people close to $100,000 worth of gift cards. For more information, or to request a gift card donation for a cancer patient, send an email to info@cancercardxchange.org. Receipt of the gift cards may take up to a month. Posted By PA Breast Cancer Coalition on July 11th, 2014 at 12:50 pm | 902 comments. Real golfers wear pink! Or Purple, green or white. 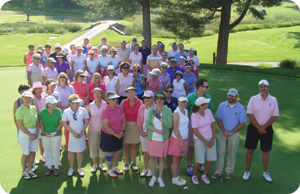 The Lebanon Country Club Women’s golf league hosted a 4-color tournament again this year to benefit the PBCC and it was once again an absolute success. Held on a hazy and hot June morning, players enjoyed lots of contests and prizes to be won throughout the course, along with a wonderful program and luncheon following play. Special guests Dr. Karla Ludwig and breast cancer survivor Amanda Musser, both from Good Samaritan Hospital in Lebanon, spoke during the event about the importance of events like these to raise awareness and funds for breast cancer research and programs. All in all, the second annual tournament netted $7,000! Congratulations to everyone involved for hosting yet another fun and successful golf outing, and special thanks to committee chair Susan Wood for her hard work on the event. See you June 15, 2015 for next year’s tournament at Lebanon Country Club! Register Now for the 2014 PA Breast Cancer Coalition Conference! Posted By PA Breast Cancer Coalition on July 10th, 2014 at 7:21 pm | 5869 comments. Have you been touched by breast cancer? Maybe you’re a survivor or maybe you’re caring for one of the thousands of Pennsylvania woman who face this battle every day. If you’re interested in learning the very latest in breast cancer research, treatments, advocacy, nutrition and survivorship, we invite you attend the PA Breast Cancer Coalition Conference on Monday, October 13, 2014 at the Harrisburg Hilton hotel. Attend our many outstanding workshops, stroll through the exhibitor area, and spend the day with health professionals and other survivors who share our goal of finding a cure for breast cancer now… so our daughters won’t have to. Early bird registration is now open online for $65. Continuing Education Hours are also available for an additional fee. 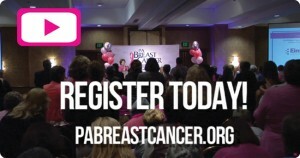 Bring a friend and experience Pennsylvania’s premiere statewide breast cancer conference this fall! Click here to register for the 2014 PA Breast Cancer Coalition Conference! 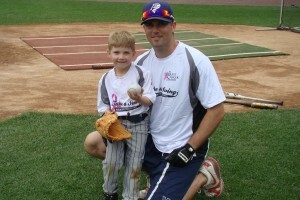 Lancaster Take a Swing Against Breast Cancer Home Run Derby was a Hit! Posted By PA Breast Cancer Coalition on July 1st, 2014 at 4:10 pm | 1823 comments. 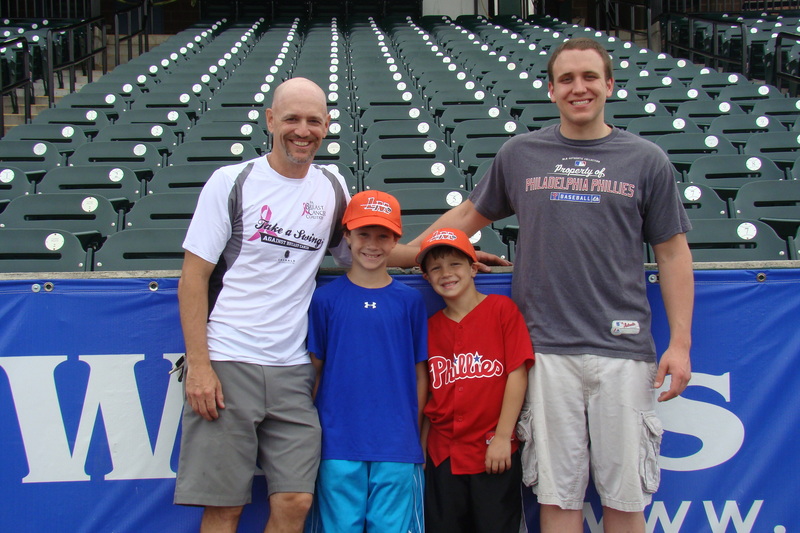 A little rain couldn’t stop PBCC supporters from making the trip to Clipper Magazine Stadium in Lancaster on Saturday, June 21st! An overwhelming number of batters, volunteers, and fans came out to the 2nd Take a Swing Against Breast Cancer Home Run Derby of the season! Our Statewide All-star sponsor was in full force at this derby! Emerald Asset Management, Inc. donated the stadium rental, hosted a silent auction, provided concession vouchers, and brought many to swing for the fences in an effort to “find a cure for breast cancer now… so our daughters won’t have to.” A big thank you to Emerald Asset Management, Inc.! A batter from the team Donegal 16U Baseball, Jarod Kashner, earned one of five custom Take a Swing Against Breast Cancer winner bats with a score of 350 points! Three others won custom bats with scores of 350 points – Greg Gunter, Matt Odenthal, and John Furlong who hit two home runs! Nathan Nickel also took home a bat with a score of 335 points! The title of Top Fundraiser was earned by the Wright Brothers. They impressed by fundraising over $1,900! There’s still time to get involved this derby season! 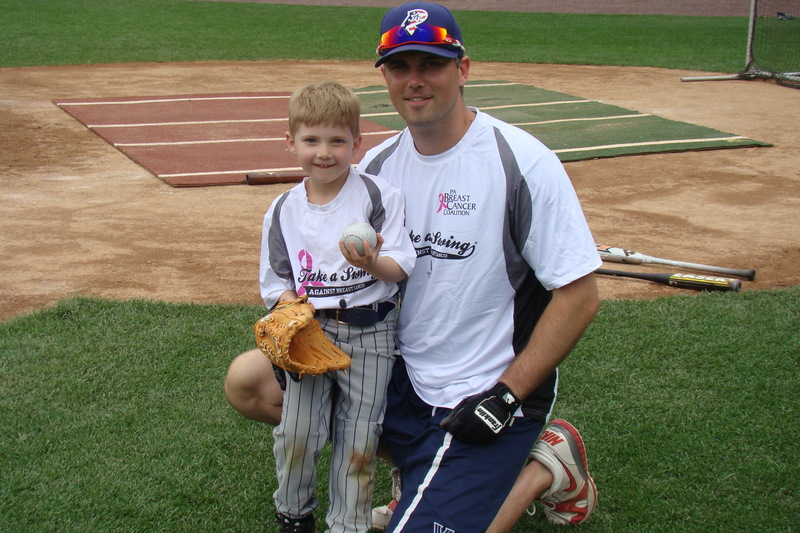 Grab your friends and family and come out to our last Take a Swing Against Breast Cancer Home Run Derby of the season at Jerry Uht Park in Erie on August 23rd! Come hit one out of the park to help us in our effort to represent and support breast cancer survivors across Pennsylvania.